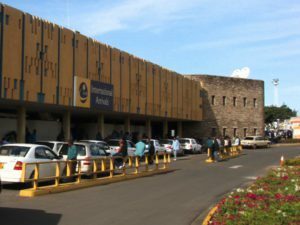 NAIROBI – Mason and partner Qntra Technology want Kenya’s Public Procurement Administrative Review Board to nullify a contract awarded to Kenya Airports Parking Services (KAPS). In September last year KAPS beat six other bidders including Mason and partner Qntra Technology to a multi-billion Kenya shilling contract for the installation, operation and maintenance of an automated car park system at the Jomo Kenyatta International Airport. Kenya Airports Authority (KAA) awarded the contract. Mason claims the award was fraudulent since KAPS’ shareholding is controlled by a foreign company known as KAPS Holdings Mauritius, Business Daily reported. But through lawyer Margaret Munene, KAA says that ownership of a company and not place of registration determines whether it is local or foreign. There are only under 3,000 parking spaces available at the airport against the close to 12,000 daily vehicle movements.